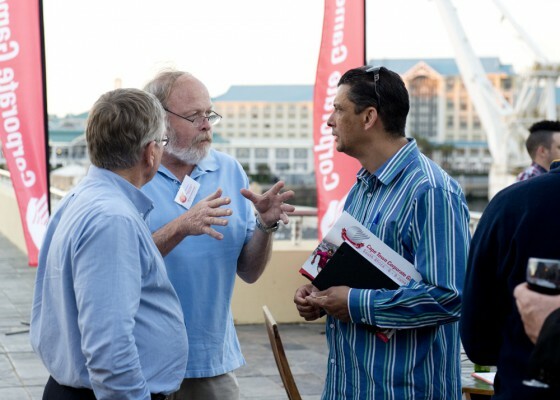 A high-profile audience of corporate leaders, numerous sporting and civic influences from the Western Cape recently attended the launch of the second edition of the Corporate Games in the City of Cape Town at the V&A Waterfront. Supported by more than 20 000 international and local organisations, the world's largest multi-sport festival for businesses and organisations boasts 73 different sporting codes – with more than one million participants from 53 cities in five continents. 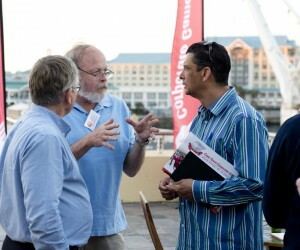 The launch took place at Atlantic Imbizo Conference & Function Studio situated at the host venue for the 2013 Corporate Games, the V&A Waterfront. A few familiar companies and organisations at the launch were: The City of Cape Town, Western Cape Provincial Government, V&A Waterfront, Shell Oil, PMI, Super Brands, Galetti, Kilowatt AV, Alexander Forbes, PEP Stores, Sanlam, Deloitte, Ratanga Junction, Red Bull, Chatroom, Swindon Properties, G4S Security, Promo Africa, SA Breweries, SAP and the SA Navy, to name just a few. Among the guest speakers were Frederick Stroebel, human resource manager at Sanlam, and Stuart McConnell from theTag Rugby® Association. According to McConnell, Tag Rugby® Association is extremely excited about its involvement in the Corporate Games 2013. Having the support of the Games as its charity allows Tag Rugby® Association to provide Siyabulela Primary School in Langa with Tag Rugby® equipment, training and exposure to sport through the company's Adopt a School programme. The 2013 Corporate Games will be staged at a selection of the best venues in Cape Town, which will showcase their outstanding facilities – one of which is the V&A Waterfront, which will play host to a major concentration of the sporting codes and festivities over the period of 6 to 9 June 2013. As the logistics partner for Cape Town Corporate Games 2013, Springbok Atlas revealed it would be providing a bus route from the V&A Waterfront to specialised venues for selected sports during the Games weekend. With the assistance of Springbok Atlas, the Games will bring teams together and show them the impact and importance of supporting their fellow colleagues. There are a variety of sports from which to choose, with added sports from last year’s already fun-filled list. Participants can select from dragon boat racing, karting, running, netball, soccer, mountain biking – and let's not forget tag rugby – to mention a few. For more information about the official programme, sport details, how to enter, the benefits of participation and involving your organisation, visit www.corporate-games.com and select 'Cape Town'.